My grandfather was an admiral. He was also a doctor. His father died shortly after his birth and his mother struggled to bring him up in the slums of Manchester, England. He got scholarships all the way to the university and learned to depend on his exceptionally keen and rational mind. His way of thinking was further endorsed by an extremely successful, lifelong career. He didn't take kindly to (what he considered to be) superstition or fanciful suggestion. When he was in his eighties, he developed severe rheumatoid arthritis. My grandmother, who was in many ways his opposite, recommended that he get a copper bangle to wear to help his condition. He ridiculed her belligerently, saying the idea was nothing but superstitious hogwash. A few weeks later, however, the pain became so great that he was willing to try anything. He quietly and furtively went into the garage and beat a copper pipe with a hammer into a shape that could be worn as a bracelet. He wore it under his shirt so my grandmother wouldn't see it. A few weeks later after having taken it off and on several times he became convinced that the copper bracelet was ameliorating an enormous amount of his pain. True to form in his military tradition, he proudly announced to the world (ignoring my grandmother's "I told you so's") that the copper bangle was a wonderful discovery for some arthritic sufferers. I was about ten years old when he told me this story at a visit to their home in the Southern English countryside. I thought, "If a copper bangle can do this for arthritis, what can other metals do? What can gems do?" I had a deep fascination for gems at an early age, but this particular incident left an indelible impression upon me, because I knew the character of my grandfather. I admired his cynical intelligence and his stoic need for reason and empirical data. But in my grandmother, I saw the very contradiction. She was much more feeling orientated and passionate for things that were unorthodox in English 1960's; things like psychic pursuits and spiritualism. Since then I've met many people who wear copper rings and copper bangles for arthritis. A large number have experienced major improvements in their conditions. And of course, I've met a few who haven't reported any benefit at all. My observation with the copper bangle is that often people don't wear a copper bangle that is heavy or pure enough. This is one of the criteria required. I suggest it has to be at least two full ounces of pure copper (any form necessary). It should preferably be a flat piece, with maximum skin contact. It is best worn near the site of the arthritic condition. And if the person has a larger body, then a heavier bangle may work better. People wonder what arthritis is, and of course there are many different types, but I think overall it's a disease that's related to the electrical polarity of our system. The electrolytic aspect of whether we have an imbalance of negative ions or positive ions in our blood, just as in electroplating, will be indicative of whether we "plate" our bones with added calcium or not. The "scale" in a kettle and the calcium-lime coating in a water pipe are both the result of the electrolytic transfer of "like" attracting "like" from the water to the wall of the container. It's the same situation with blood. Man has not yet designed instruments to prove this theory, but if you are the type of person who has low energy, health problems, or depression, I would think it's only normal to suggest that you may have, in the various systems of your body, an electrical imbalance that needs to be harmonized and probably strengthened. Gems and noble metals can bring into balance the inharmonious electrical conditions of the body which can be felt by the mind and thus assist the processes of recovery. Like the copper rod that protects the house from lightning, we need to be grounded from the electrical intake we attract from walking on carpets and electromagnetic environments, especially TVs and computer monitors. Some people hold in more electrical charge than others, and they especially need to wear a grounding copper bangle, or even one made of lead, silver or gold (or combinations thereof). The metals all conduct electricity, though pure gold, silver, copper and sometimes even a lead silver alloy appear to be especially useful for human use. What's important is that they have sufficient weight. Of course our electrolytic balance can also be thrown out by a toxic colon, pH imbalance, etc. My point is: it's the subject of our electromagnetic body that needs more recognition and research. In 1984, I had an enjoyable conversation with the manager of a large, high-tech ceramic magnet factory in Temecula, California. He showed me a three-inch thick file containing the Japanese government's research on the benefits of ceramic magnets on arthritis and other health-related conditions. He wanted to manufacture ceramic magnets and market them as a health tool. In exasperation he told me the FDA had phoned him up and threatened to close him down if he tried to use the Japanese government's research to promote his case. Many hold the view that the medical business becomes political when the profits of the pharmaceutical industry are threatened. If we look back over the last two centuries at the many different forms of electromagnetic energy that have been recently discovered (gamma rays, X-rays, radio waves, microwaves, etc.) it's logical to presume that we still haven't invented the instruments to discover many new as yet unknown energy forms. In light of this I feel one day the beneficial effects of gems will be verifiable with as-yet undiscovered technology. "The dynamic forces of mineral magnetism, electricity, and galvanism act no less homeopathically and powerfully on our vital principle than medicines actually called homeopathic, which overcome diseases when taken by mouth, rubbed on the skin, or smelled..But we still know far too little about the right way of using electricity, galvanism, and the so-called electromagnetic machine to put them to homeopathic use." People wonder why these diseases exist in this modern age. The self-realized yogis, whom I consider to be the most advanced thinkers of our time, say that all disease is created by living against natural spiritual laws. On a more mundane level, we constantly absorb, record, and emit all forms of environmental influences in our evolutionary or devolutionary life style. Materials can be found to counteract the negative pull on our composite being and gems are included among these materials. Every material has a rate of vibration, a "consciousness", if you like. Every thought that enters into our mind and body influences our energy, magnetic tendencies, hormones, and chemical reactions, etc. Repetition of these mental habits, if negative, bind us into ruts that soon become our consistent way of thinking. In turn, this creates a magnetic pull towards negative circumstances, which are simply self-predetermined events that we lacked the ability to predict. We need to go to the source and stimulate our minds to be more attuned to a higher vibration, to a higher level of consciousness. Then we will feel more at home expressing noble thoughts and actions. Interestingly, this condition has to emanate from within, but it can obviously be stimulated by external environment as well. Beautiful parks, inspiring books, spiritually attractive personalities, philosophical truths, and religious appreciation all benefit our consciousness. All these forms of influence have a rate of vibration, or consciousness that will penetrate and influence us. Quantum physics is essentially the study of energy waves. We know it's basically the study of forms of energy that are constantly ebbing and flowing and acting with predictability. Quantum scientists will essentially say matter actually isn't there; it's just energy. And they will prove it with their brilliant theories. Gems, you could say, aren't really there; they are just condensed energy. What makes them so unique and extremely interesting is that their energy wave units are designed in such a way that their atoms line up unerringly by the trillion. These symmetrical geometric alignments allow for an evenly regulated and unusually potent unencumbered energy flow, much more influential than the vast majority of natural materials. In the inorganic kingdom they are unique in this way. Their extraordinary homogenous physical structure allows for an extremely stable and potentized rate of emanating atomic frequency. Of course, I am talking now in terms of theory, because man has not yet designed instruments to prove or disprove this conjecture. But testimonials over the millenniums have supported the theory that specific gems have the ability to counteract an enormous array of problems for the people who wear them. They have a rate of electromagnetic vibration that can greatly lessen and help dissolve the negative rates of vibration that lower types of thought give off. The gems cause our rate of vibration to change, which in turn changes the way we think. It can be a very surprising experience. It is even more convincing when something seemingly inanimate, like a set of Ayurvedically recognized high-vibration gems, appears to the wearer to be the cause of such a phenomenon. Of course, so many people who read this will say, "What is he talking about when he says negative thoughts relate to rates of vibration?" This kind of bio-feedback logic is totally foreign to what we learned as children. But as a great author once said, "There is more in heaven and earth than is dreamed of in your philosophies, Horatio." It's unfortunate that in this so-called "new age" there are so many words written by different theorists that try to express themselves in vague terms (Energy field, aura, radiation, channel, vibration, etc.) These words, in the way they are used, open themselves up to ridicule from the scientifically minded. This is an understandable fact. There is too much supposition and fallacy promoted without testimonial or feedback in the new-age movement of today. I often cringe when I read some of the books that make such dramatic and seemingly contradictory claims about crystals or gems. Unfortunately suppositional fallacy is here to stay, and we'll have to live with it. But the damage it does in closing down the more empirical thinkers who investigate this science, is the same type of thing that happens in religion when fundamentalist believers blindly push their faith without calm reason predominating. Purveyors of mantras, pujas, Bach flower remedies, essential flower oils, homeopathy, and a host of seemingly subtle vibration mechanisms have been making dramatic claims for years. Gems are just another item on the list. However, they endure the investment of time, unlike the other more transient mediums. A gem investment not only generally gains in monetary value, but can be used daily for the rest of your life, and can travel on for generations. Their are many scientific laws for a happy and healthy life. Gems have a way of helping us to strengthen our resistance to past negative karma returning to us in this life. There are many healing mechanisms for an infinite variety of problems; gems, however, are not invasive of any combination of approaches. The wise will select all that is simple and practical for them to attain their goal. Gems may not be for everyone. But if you have read this far, it is reasonable to suspect that you have a deeper than average understanding of the benefits of these wonderful friends that Mother Nature has provided for our use. 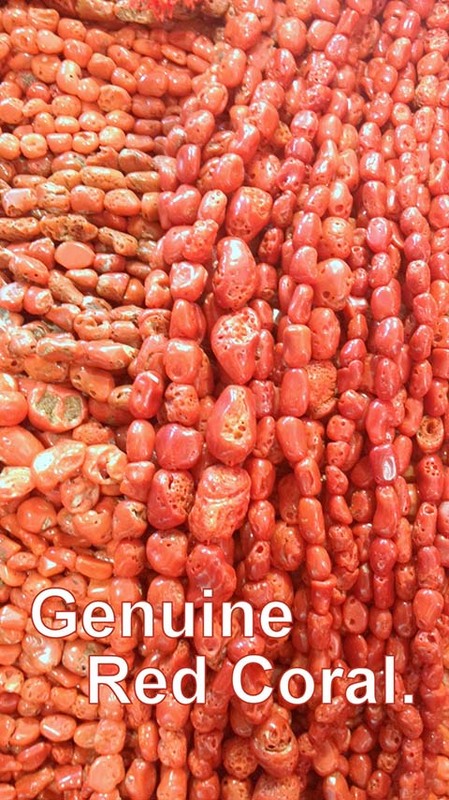 Red coral represents Mars in vedic astrology and possesses a warming, energizing influence. It is also sought after for its beneficial properties in regards to one's health and immune system. Astrological grade coral is a deep red color and carbonated. 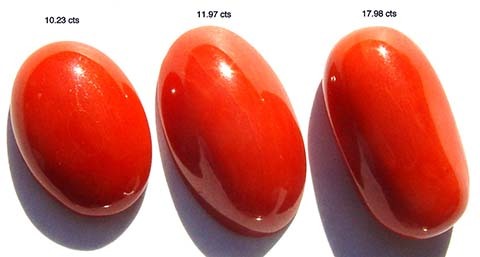 It is hard and can take a high polish, which is one way to know that it is astrological grade red coral. Before most people can appreciate the way this electromagnetic instrument can help them, they will need to understand some parameters of its application. 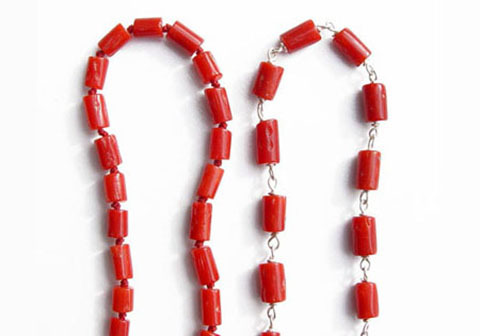 The weight of our red coral necklaces will vary between 14 to 18 grams (one gram equals five carats). 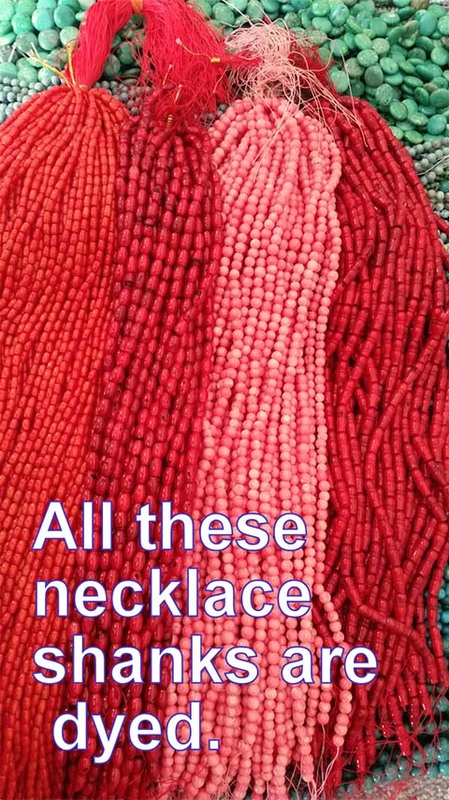 So, whenever reference is made to coral necklaces, it will be to those that weigh in at approximately 70 to 90 carats, the sum total weight of the red coral beads. They are made without a clasp and of sufficient length so that they can be slipped on and off over the head without much fuss. See below or use the links above for more information on the best uses for red coral, how to select good red coral, health benefits, a story about increasing healing through the use of red coral, testimonials and shopping. Red Coral (Corallium Rubrum) beads are carved from a branch-like calcareous framework of the coral polyp and is formed by the accretion of colonies of these tiny marine invertebrates. 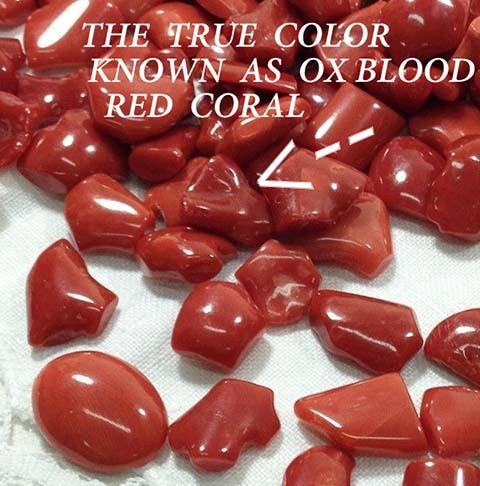 The heating influence in Red Coral seems to originate mostly from the red color in combination with the organically structured crystalline aggregate of calcium carbonate (CaCO3). The red color traps the infra red and red aspect of the light spectrum, and this appears to be regenerative as a heating influence. My extensive experiments with White Coral, which has been found to be both calming and strengthening, indicate that it does not stimulate the metabolic heat in the wearer nearly as much as Red Coral. But for high pitta individuals (an Ayurvedic body type), who nonetheless need more physical energy, this can be helpful. With very few exceptions, people have found that by wearing the Red Coral necklace they have experienced more bodily heat and energy. This experience is very much appreciated if the person is of a less energized character or has a low body heat. If the person has a body type that is susceptible to feeling the cold, then she or he will feel very attached to the necklace during cold weather. But those, on the other hand, who do not feel the cold, may actually experience feeling overheated and uncomfortable when wearing the necklace; this discomfort can come within minutes or hours. The individuals who seem to be the most sensitive this way are those who are "pitta". A small percentage of individuals may wear the necklace for a few days before they recognize the heat, and not absolutely everyone is sensitive to the potent influence. The discomfort threshold to body heat is also, of course, related to whether it is a hot day or not, for example. However, even pitta types can assuredly enjoy the coral necklace if they are living in a cold climate or take a trip to a colder place, or if they are physically run down or elderly (i.e., cases when the metabolic energy is not as abundant). Vata and kapha body-types (those who tend to feel the cold), will definitely feel a great benefit from this easy-to-use stimulant to their metabolism and body thermostat. Essentially, all three body-types (kapha, vata and pitta) will profit by use of the coral necklace whenever there is a lack of energy. 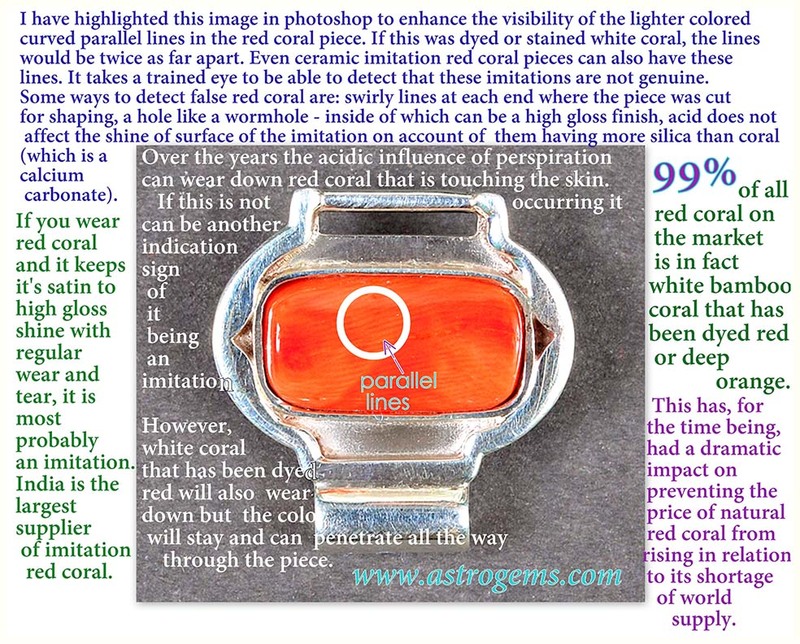 The photo above shows the color of genuine, high quality astrological red coral. This shade of red is known as ox blood. 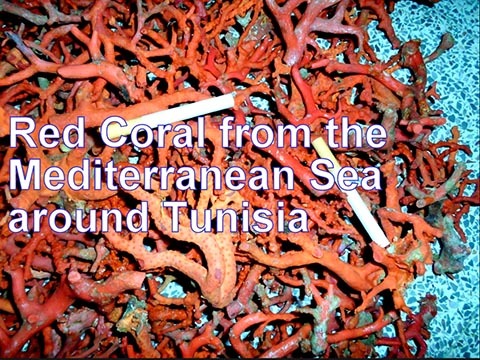 The bottom left photo shows strands of red and white coral. At the bottom right is a video with Nick Hodgson, President of Astrogems, where he is showing us samples of false red coral. 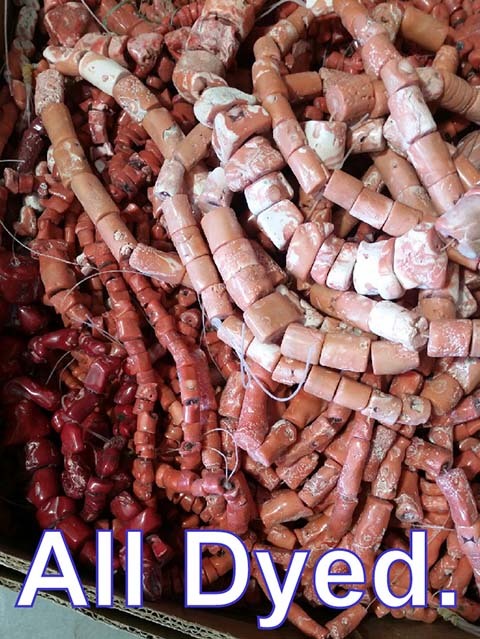 Above are some examples of inexpensive white coral which has been dyed various shades of red or pink. Years ago I had a motorcycle accident. Actually it was more of a tumble, the bike just slipped over and sat on me. This didn't really matter except the kick stand was where it was supposed to be and my leg wasn't. This conflict in the status quo involved the kick stand cutting into my leg. Three days later, after surgery, I had a whole lot more respect for motorcycles. I lay in bed and was coming to the realization that my normally fiery constitutional resilience to injury just wasn't strutting its stuff and that this injury could take more than quite a while to heal. Having severed several nerves, the deep wound was definitely cold, and very little electrical healing energy seemed to be circulating in its immediate area. Obviously for tissue repair to occur, strong forces of renewal needed to be activated. Visualization would have helped, but the area was already feeling pretty dead, and my consequent negative mindset would have had to be overcome. I lay in bed for quite some time evaluating my body's resources. With this accident, its recuperating resources didn't seem to be anything close to my younger days, when a deep wound was just a scratch. Because of my studies and interest in gems, I hobbled out of bed and reached for a red coral necklace to see if it would be of help. Strangely enough, at the time I didn't feel that it would help much, except on a subtle level. The next few minutes were genuinely a big shock to my understanding. The previous hour my wound had had a distinctly cold clammy feel to it. A sense pervaded that nothing was happening in the metabolic arena and recovery was going to take ages. Upon putting on the red coral, almost immediately I could feel a comfortable surge of warmth and circulation of energy surrounding and intelligently permeating the wounded area. I was stunned to be witnessing something so tangible. I was dimly aware that I had read that red coral was good for wounds or internal bleeding. It was this profound experience, and many other testimonials that inspired me in later years to promote and advertise the wonderful power of Vedic gems to anyone who would listen. I kept the necklace on until the healing was over. Coral seemed perfect as it gave a needed boost to my traumatized metabolic rate. These days, if I put on red coral when Iâ€™m in good health, I may, within a day or so, start feeling too warm in the area of the necklace. Red coral represents Mars in Vedic astrology and, hence, is hot to warming in influence. Too much heat will imbalance me, but for a person with more cold influences in their horoscope, a red coral necklace could be much more comfortable to wear for longer periods. Rarely would I recommend that it be worn constantly. If the wearer is older and living in a very cold climate, more extensive use could be helpful. Of all the less expensive types of stone necklaces, the Red Coral necklace seems to be the one that people feel the most. This is partly because it has a definite, strong influence on the physical body as well as on the mind. I have been doing research by observing the effects of the Red Coral necklace on numerous clients, on a continuous basis for over eight years. After having loaned them to large numbers of people, many of whom were adamant in their disbelief in any therapeutic uses for stones or gems, I have become very enthusiastic that this simple instrument, if used correctly, can really be a great friend. 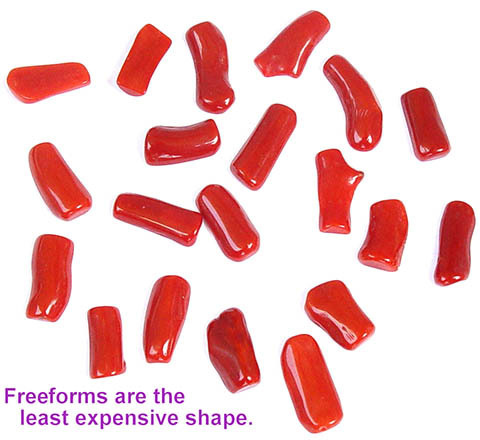 From extensive feedback over the years, red coral appears to help boost the energy of people who are run down. A person living in a cold climate will be more receptive to its heating benefits than the same person dwelling in a tropical climate. Many friends have been amazed by red coral's effect on their colds, coughs and flus. Often I have recommended it to people having surgery and have had them thank me profusely for what they perceive to be its speeding up of their healing processes. Surprising as it may seem, I used to keep a red coral necklace beside the bed in winter, and if I got too cold, I would throw on red coral instead of another blanket. I generally always take one when I leave sunny California for colder climes. 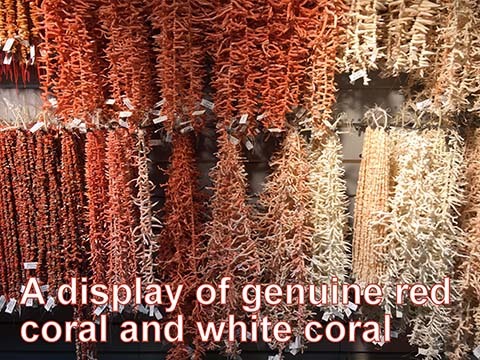 There are many coral imitations on the market, especially in necklace form, mostly from China and India. These include ceramic glass, white coral or horn dyed red and plastic. Observation indicates that for short-term remedial benefits of specific problems, a coral necklace of over 80 carats is best (it is this much because each bead is so small). I often recommend keeping one in the medicine cabinet. Very often the coral necklace has gained considerable esteem and appreciation for stimulating the body's immune system, or in helping to clear congestion. On innumerable occasions, when people have felt a cold or flu bug coming on, they have reported they felt, after putting on the necklace, that it cut short its grip on them. 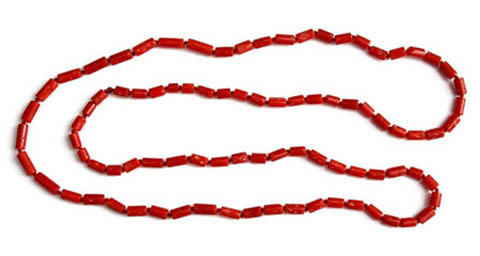 People who have congestion, especially from the flu, report dramatic improvement from wearing the Red Coral necklace. 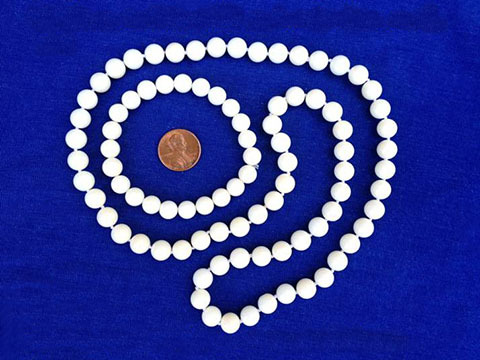 Many individuals who have worn the necklace following an operation claim that it has seemingly sped up their recovery process. Artists who sing have found that it has protected their voice when they have felt a bug coming on. It seems to be especially useful to anemic types, who have a low energy on account of their low blood iron. It is for all these findings that a Red Coral necklace can be a great lifelong friend to call on when in need; one should always be available in the first aid cabinet. Interestingly, I have sold several nine-gem bangles after the occasion of lending out coral necklaces, as it was the tangible experience of wearing this simple, single-stone item that gave the clients an understanding by experience of what the full rainbow of gems might do for them. As we get older we become less able to receive the beneficial radiations emitted by the planets. An example of this is a slow down with advancing age of metabolic and recuperative abilities. Many elderly clients have attested to the ameliorating reduction in this degenerative process by wearing a Red Coral necklace. Some of those living in colder climates have said they never take it off in winter and that because of it, they don't feel the cold nearly as badly. 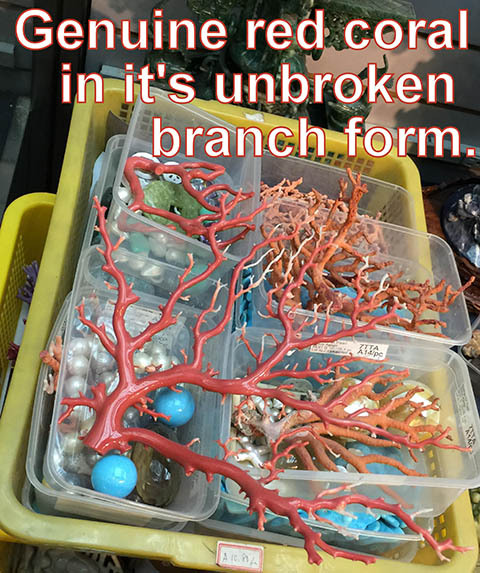 Individuals who have had trauma or operations on their bodies have repeatedly expressed that when they put on the coral necklace they noticed a definite improvement in the rate of progress back to well being. Of course, after the healing of the bodily injury was complete, many found that the time came to take it off; after full recovery the excess in necklace-generated heat was not to their liking. Others kept them on as it helped their somewhat continuously low vitality. 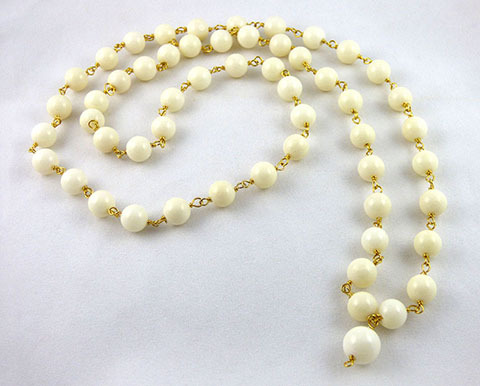 There have also been surprising results with women who have excessive difficulties in their monthly cycles who have worn a combination of Red Coral and Pearl necklaces. One lady originally was persuaded to wear this combination for an asthma condition. She noted some improvement on the asthma; but what really amazed her was that her abnormally severe menstrual bleeding, every month since the birth of her child seven years before, had dramatically returned to normal. It never recurred again even after she took off the necklaces. She was actually quite shocked at the result, as she originally thought the whole idea ludicrous; but after the striking improvement she was convinced it had to be the result of one or both of the necklaces. Often people come back from India thinking that the necklace they bought on the street is genuine, only to have it correctly identified later as a glass product. One way of telling the difference between Red Coral and glass is that if you have worn it for over a month and it hasn't lost its glossy surface, you can be pretty sure it is red glass. A lot of red-bead ethnic jewelry from India is red glass. There are also some very impressive-looking plastic imitations around. Red Coral is, incidentally, reactive to acids, so certain jewelry cleaners should not be used on them. My wife just reminded me to tell you about the red coral necklace. She loves it! She finally took it off the other night, because she got too hot, but she has had it on for a solid month, and really finds it works. She has been outside in short sleeves, in perfect comfort, while her much younger companion was "freezing." I have also noticed warmer feet and hands this season, so it is a big hit with her !" I just got the bangle. It is beautiful and it fits perfectly! I love it! P.S. My son has been wearing my coral necklace as he had a terrible cold. The day he put it on, he sweated it all out and the congestion did not settle in his chest as usual. I couldn’t believe he has gotten over the cold so fast. I’m a believer! (My sore throat only lasted 2 days as opposed to a week as it usually does when I get this crud). I got over it just in time to let him wear it!" "Odd thing number one: The coral has had a distinct effect, even handing them the clothes or the hangers they would comment on my warm hands. I never have warm hands: cold hands, cold feet, cold front teeth (upper), cold nose, cold ear lobes. I guess that's all gone now. The only other time this happened was when my thyroid was out of whack from the dental drug septocaine. When I first received the red coral necklace, I had already been in the beginning stages one of the typical sore throat / cold viruses that I experience at the start of every autumn season. From several years experience I knew this cold virus always began in my throat in the form of soreness in the area where had once been my tonsils; as they had been surgically removed as a child. The virus would then enter my nasal passages and then into my chest; and eventually leave my body system in about two weeks. So at this stage in roughly the second day of my symptoms, I put on the coral necklace when I received it in the early afternoon and within 30 minutes I developed a low grade fever that lasted only an hour. At the start of this fever I laid down, and when I got up an hour later, the fever symptoms had subsided, and never returned for the rest of the day - although I was still experiencing the cold virus symptoms. I continued to wear the red coral necklace for the next couple of days, and though I was still experiencing some cold-like symptoms, they were mild and never progressed past a sore throat and mild nasal congestion. After this period, (roughly two days after I first put on the red coral necklace), the cold virus seemed to be leaving my system rather quickly, and after about the 3rd or 4th day I was virtually symptom free. I concluded that the Red Coral Necklace facilitated my immune system in producing a sudden, yet short lived fever in order to jumpstart my body's natural healing mechanisms. Looking back at this rare event of the sudden fever, I realized that I rarely get fevers in my adult life; and as long as I can remember, never had such a fever been associated with a cold virus. The only fever I experienced in my adult years was when I had mastitis of the milk duct glands during the time I was nursing my son when he was a baby. Thus this phenomena of a sudden fever was a surprise to me at the time; and surely a rare event - only to be explainable as an effect of wearing the red coral necklace at a time when my immune system was being invaded by a virus. It has been a couple of months now and I have been wearing the red coral necklace on a daily basis. I have yet to experience another phenomenon like the latter of which I described; however my immune system seems to working quite well since I've been wearing the coral necklace, thus whatever healing properties are in red coral I believe are contributing to my overall wellness. Thank you Nick and Rich for making the wonderful healing necklace of red coral! See below for a two part video of a casual conversation from Nick Hodgson on the amazing ayurvedic qualities of Red Coral. We currently offer two types of red coral necklaces. One is on thread and the other one is on silver wire. The silver wire necklace is stronger, but the threaded necklace has more coral. Both necklaces are the same price. Being hand made, both necklaces will vary in their weight which is approximately 70 - 90 carats. The red coral necklace on silver wire is approximately 26.5 inches and the one on thread is approximately 25 inches. Both necklaces are long enough to slip on over one's head without needing a clasp. 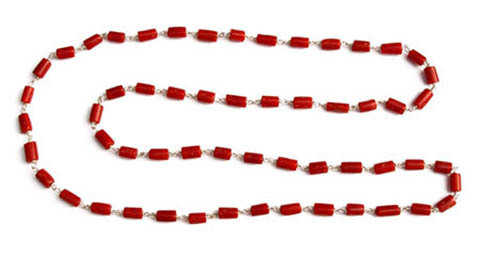 When you click on the image or add to cart button, you will be taken to our sister site Hearts for Love.com where you can view additional details, photos, and purchase your red coral necklace. If you would prefer to place your order by phone or have additional questions, please contact us. Strengthening without the warming influence, our white coral necklaces are an excellent and essential addition to one's repertoire of astrological items. 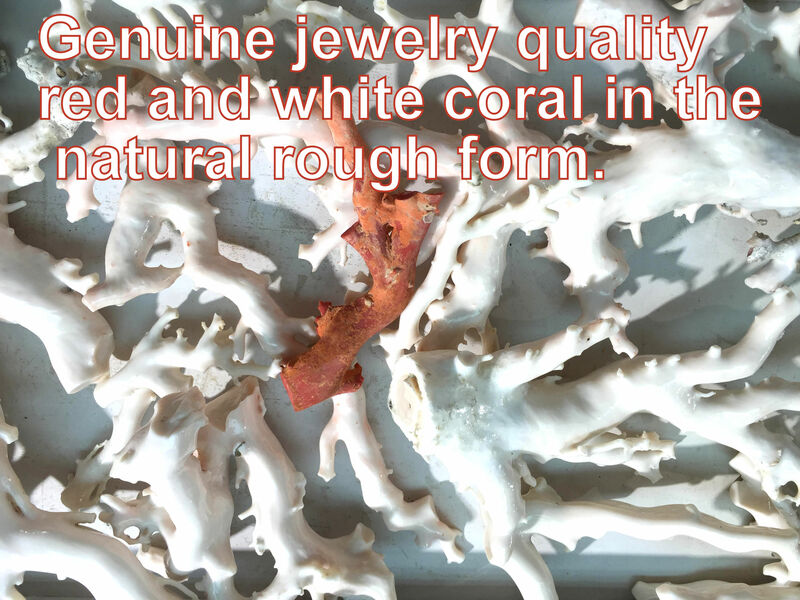 Click here to read more about white coral.